A driver of a Model S died in an accident while the Autopilot feature was on, sparking a big debate about the safety of the electric car company's self-driving technology. Wall Street also gave a big thumbs down to Tesla's (TSLA) proposal to acquire alternative energy company SolarCity (SCTY). And the electric car maker said last week that it had delivered only 78% of the 18,345 cars it built in the second quarter. In addition to concerns about whether SolarCity is a good strategic fit for Tesla, there are also questions about nepotism since Tesla CEO Elon Musk is cousin of the two co-founders of SolarCity. Musk is also oddly feuding with Fortune magazine about some skeptical articles regarding the Model S Autopilot accident. Related: Who is responsible when an autonomous car crashes? But could the worst soon be over for Tesla? Its stock is up more than 4% after Musk cryptically teased in a tweet on Sunday that he was "Working on Top Secret Tesla Masterplan, Part 2." Musk wrote about the company's first Master Plan back in 2006. At the time, Tesla was just making the Roadster sports car. And Musk quipped that his day job was running SpaceX, and he was chairman of Tesla "on the side." Still, the blog post turned out to be mostly on the money. Tesla now has the Model X SUV and is scheduled to start delivering its cheaper Model 3 sedan to customers in late 2017. So much for that last snarky bullet point. 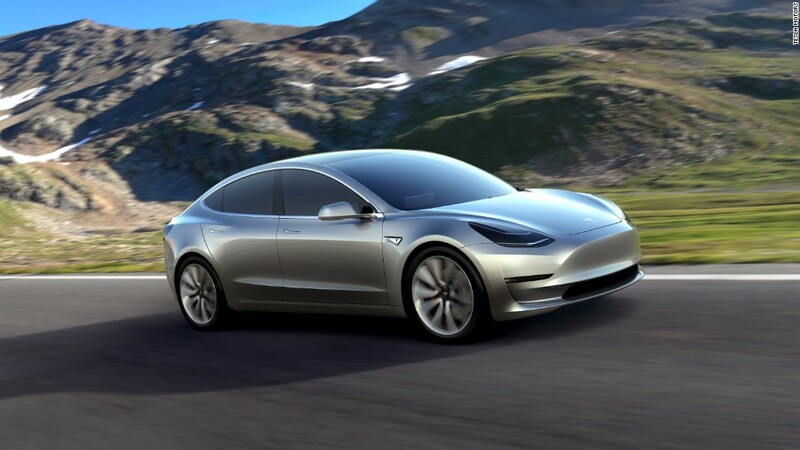 Tesla is now worth $33 billion, way more than Big 3 car company Fiat Chrysler (FCAU) and the company has rapidly closed the market value gap with Detroit giants GM (GM) and Ford (F). But what could the second part of the master plan turn out to be? Plans for Tesla to somehow get involved in SpaceX's Hyperloop plans? Or perhaps something tied to a connected home in light of the SolarCity deal? Tesla did unveil its Powerwall home battery technology last year. Auto enthusiasts were speculating on Twitter that Tesla could be developing a truck to flesh out its product line. There have also been lots of rumors about Tesla developing a Tesla Mobility service that lets people summon autonomous cars to come pick them up. Yes, Tesla would essentially be competing with the likes of Uber, Lyft and China's Didi. Whatever it is Musk has up its sleeve, it will probably be ambitious and the announcement is likely to be full of bombast. Musk is quite the showman -- a 21st century P.T. Barnum of Corporate America. Musk has recently boasted that he hopes Tesla can produce 500,000 cars a year by 2018 -- two years earlier than the company's original target. Fortunately, us mere mortals -- people who weren't the inspiration for Robert Downey Jr's portrayal of Tony Stark in all those Iron Man and Avengers movies -- may only have a few more days to wait until we hear what Musk has planned next for Tesla.